We are trying to eat more veggies in our house. And of course, when I say “we,” I mean ME. My kids aren’t exactly thrilled about the idea of having to eat more of these pretty colorful things, but I’ve been enjoying coming up with new ways to eat them. There’s just something beautiful about these colors, wouldn’t you agree? My latest favorite is to roast them in the oven with lemon, garlic and rosemary. The tangy lemon and garlic mixed with the herbs is a winner for sure. Whisk together all ingredients except vegetables. 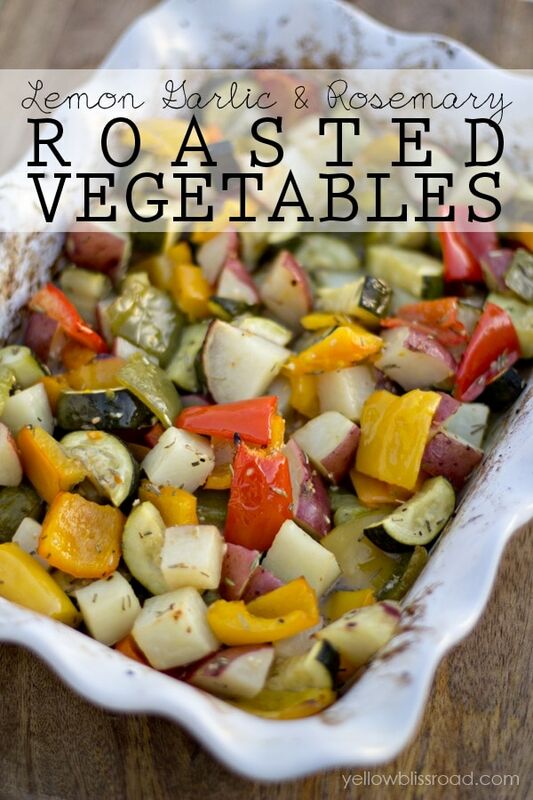 Arrange vegetables in a 13" x 9" baking dish. Pour mixture over veggies and coat evenly (I like to just use my hands). Bake in a 400 degree oven for 45 minutes to an hour, or until veggies are tender. 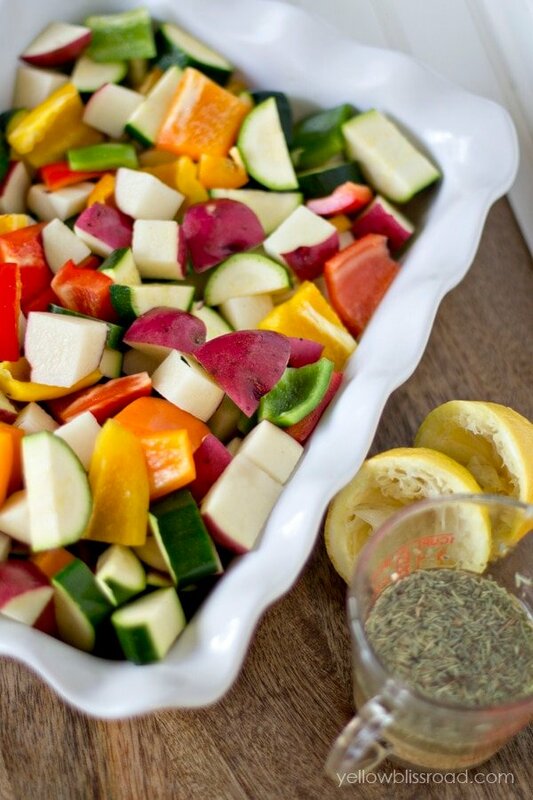 To ensure even baking, pre-bake root vegetables (carrots, potatoes) for 15 minutes before adding the other veggies. Will this dish still be good if I prepare it the day before? do you think brussel sprouts would work in this instead of the zucchini? What veggies do you usually use in your dish?I was trying to figure out what you had in your picture, it looks Delish! Thanks! 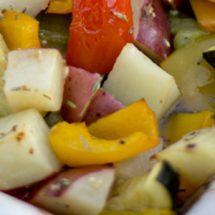 This one has zucchini, red potatoes, and red, green, and yellow peppers.